We have reached Christmas day for 2013. There have been eleven ideas provided so far in the Twelve Days of Car Gifts. Starting with the Knight Rider Hallmark ornament, we transitioned towards ideas such as a BMW Motorsport Tent and a not-so holiday practical stock car racing simulator. With a good part of Christmas focused on dreaming, it seemed only appropriate we spend the final part of this 2013 holiday gift series to automobiles itself. I would strongly support the idea that retail catalogs have been the go-to source for many Christmas lists over the years. Imagine if one of those holiday catalogs contain what could be our dream machine. Well, as astute auto enthusiastic of vehicles already know, that has been possible. Back in the early 20th century, major United States department store Sears sold vehicles through their catalog several times. Recent years, automobiles have also been available through high-end retailers. 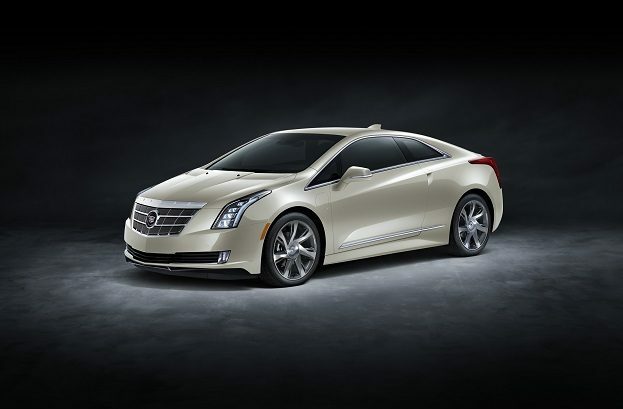 This Christmas, Saks Fifth Avenue has been all charged-up on the introduction of the Cadillac ELR plug-in hybrid coupe. Part of the 2013 Saks Holiday catalog, 100 special edition ELRs has been made available. An early release of an electrified vehicle already stated to be a limited production vehicle, the Saks Fifth Avenue 2014 Cadillac ELR offered increased collectability. With a price tag exceeding $14,000 more than a Cadillac ELR to be offered in General Motors dealerships, the Saks Fifth Avenue is enhanced with exclusive touches. A White Diamond exterior paint color is applied on the Cadillac‘s body panels. A Jet Black or Light Cashmere color can be opted for inside the two-door’s cabin. Along with the unique coloring, the Saks Fifth Avenue version of the 2014 Cadillac ELR comes with a standard 240-volt charging unit that includes no charge installation. 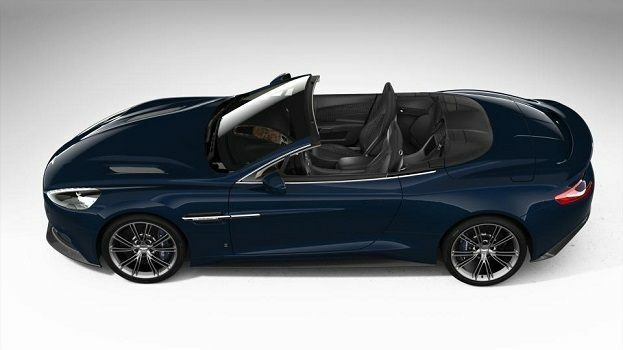 Limited to only 10 examples earmarked to “qualified customers”, a special edition 2014 Aston Martin Vanquish Volante was part of the Fantasy Gifts found in high-end retailer Neiman Marcus’ Christmas Book. 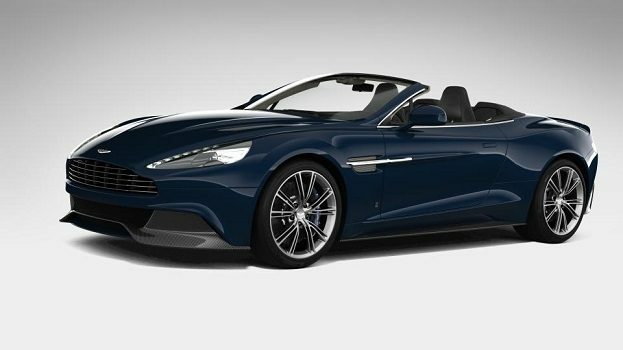 Coated in an exclusive Seychelles Blue paint, the Neiman Marcus 2014 Aston Martin Vanquish Volante wears 20-spoke diamond-turned alloy wheels featuring a Liquid Silver finish. Open during fine, warm weather but covered by an Atlantic Blue fabric top under less than ideal winter conditions, the interior of this Aston Martin is black in colour upholstered with semi-aniline leather. Quilted seat and door inserts as well as a walnut veneer facia is also found inside the British supercar sold through Neiman Marcus. Powered by a 6.0 liter V-12 engine, the Aston Martin convertible moves under the force of 565 horsepower and 457 pounds-feet of torque. Channelling engine power production through a six-speed Touchtronic II automatic gearbox, Neiman Marcus 2014 Aston Martin Vanquish Volante flashes down the road at a 183 mile per hour top speed. The Purchase of the 2014 Aston Martin Vanquish Volante through Neiman Marcus also comes with the social conscious of charity. $3,000 of the vehicle’s purchase price will be donated to The Heart of Neiman Marcus Foundation. Instead of a Christmas carol about a one-horse open sleigh, how about a ride in a nice warm taxi? Sure, driving a taxi cab may not seem like the most comfortable or enjoyable way to travel for most people. 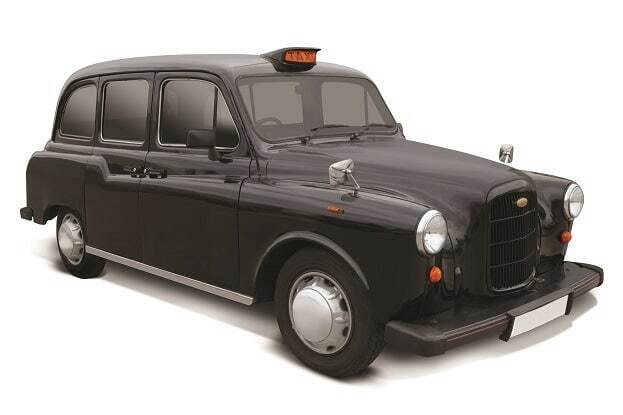 However, for the unique driver who enjoys the British charm coupled with some classic style, the Hammacher Schlemmer catalog offers The Authentic London Taxi Cab. An actual restored Hackney carriage from the 1980s, the Nissan diesel engine propelled vehicle features all the characteristics of taxi cabs found manoeuvring around England. Weighing roughly 5,000 pounds, the Authentic London Taxi Cab provides compact exterior proportions with a large interior focused on rear passenger comfort. Leather seating, air conditioning and tinted glass allows North American motorists understand British taxi cab class that has made this type of vehicle popular even with government officials and royalty. Advertised as being capable of traveling as speeds on United States roads, The Authentic London Taxi Cab should be compliant for road use. Special conditions do exist with the purchase of this former London taxi from Hammacher Schlemmer. As you can see, catalog shopping can easily get out of hand as we deal with the prospect of spending five-figure and even six-figure amounts. This Automoblog.net Twelve Days of Car Gifts is more than just a gift idea guide. By following along, it is my deepest holiday wish to you will have recognized the passions in your life. Merry Christmas and happy holidays! No Comments on "Twelfth Day of Car Gifts: Catalog Cars of 2013"